Home / Organization Help / How to use “Notes” when a volunteer doesn’t show up for service? Step 1: Click on the date of the opportunity as shown below. Step 2: Find the opportunity and Click on “Manage Volunteers”. 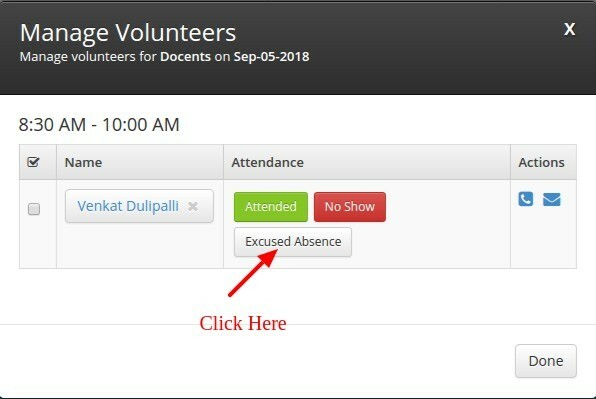 Step 3: Now, go to the volunteer, who didn’t turn up for the service and click on “Excuse Absence”. 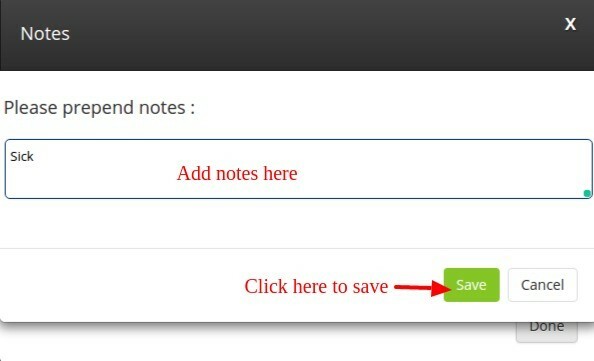 Step 4: After clicking on “Excused Absence”, enter the notes and click on “save”. 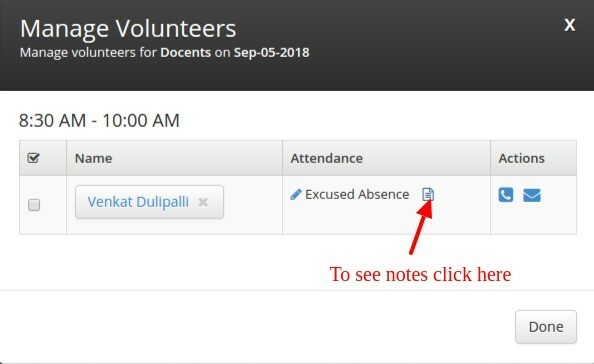 Step 5: To see the notes click on the “doc” symbol beside “Excused Absence” button as shown below.